Yesterday we celebrated our volunteers. I am at a loss to find the perfect word to describe them…amazing, dedicated, compassionate, hard-working, dependable, delightful, brilliant, organized, thoughtful, and the list goes on. Deserving of recognition and selfless has to be among the necessary descriptors, however. 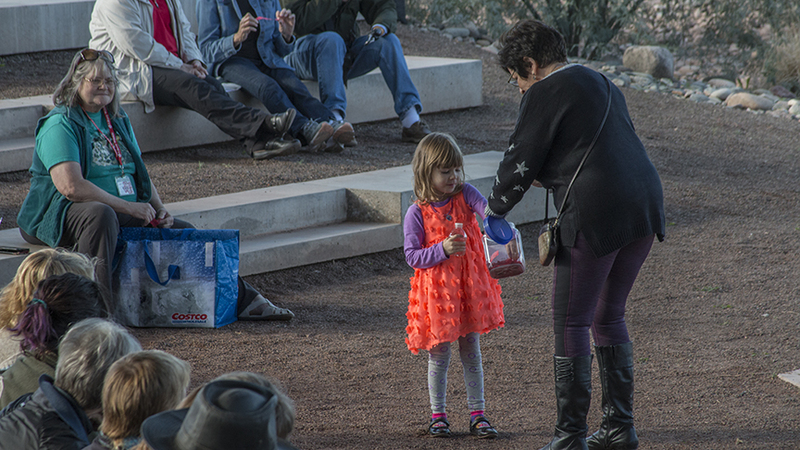 Our annual Volunteer Appreciation picnic was yesterday. 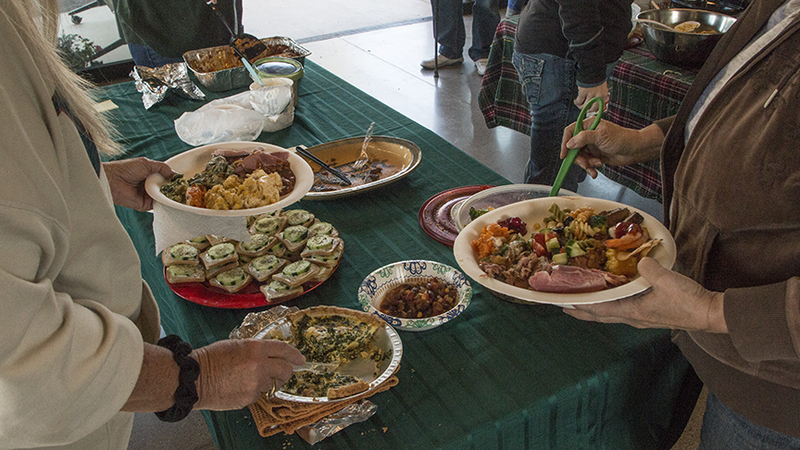 It was extremely well attended, and as always, the food was off the charts. Among many other things was the anticipated Greek salad (thank you, John), the baked ham, the chilis (vegan, vegetarian, and regular with chicken or beef), pulled pork and the fixings, Italian meatballs, and the plethora of side dishes and hors d’oeurves.. Then, there were the desserts…an entire roomful! Each year it gets better and is better attended. 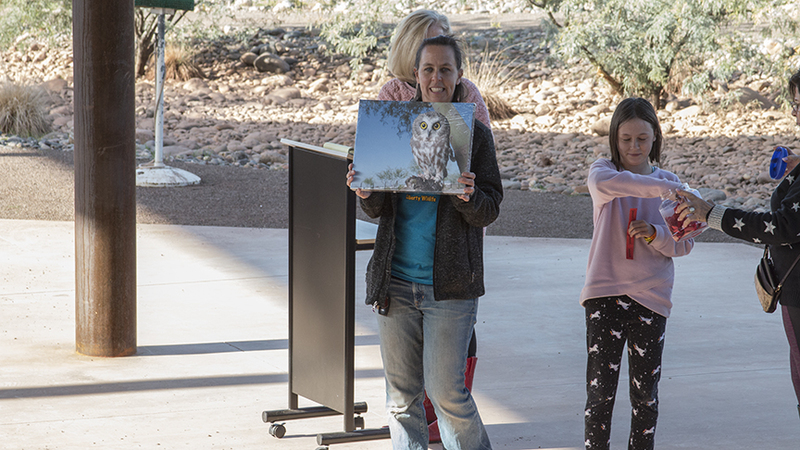 The group was thanked for the over 9200 animals assisted this year, the over 850 educational experiences provided, and the more than 4000 orders filled over the years through the Non-Eagle Feather Repository. 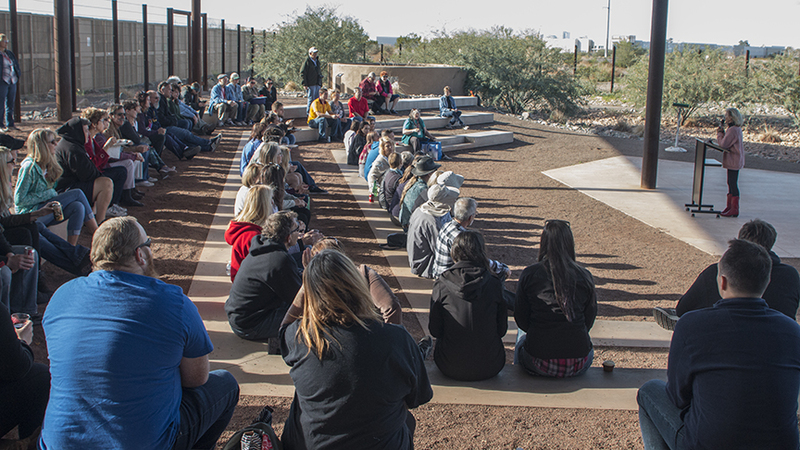 This group is responsible for a lot of hard work and soaring compassion and the place wouldn’t run without them….so much gratitude from the staff and the critters (they told me so…) for this stalwart group of individuals from all walks of life. On top of this incredible accomplishment, Liberty Wildlife not only provides the state with solutions to individual issues with negative impacts on native wildlife, we are also looking for solutions to global problems that cause wild animals to be brought in for care. 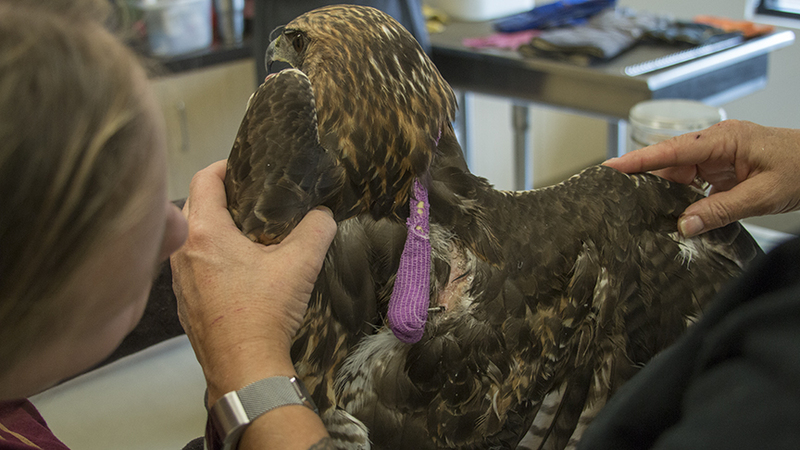 One solution is being explored by Purdue University and Liberty Wildlife in an effort to mitigate for negative impacts between wind towers and eagles. I won’t go into details, but it is a definite feather in our cap to be a part of the study. 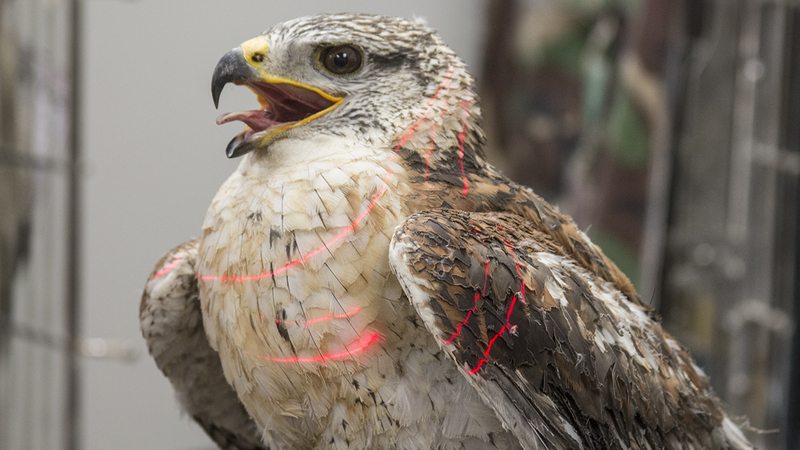 Another solution deals with negative impact with raptors and power equipment in an effort to recognize the causes and create solutions to electric incidents involving raptors. Solutions involving pole construction and equipment configuration could be a global solution to an age-old problem. We have signed on with The Peregrine Fund to be part of a group of experts who promote a better understanding of the beauty and benefits of raptors around the world. 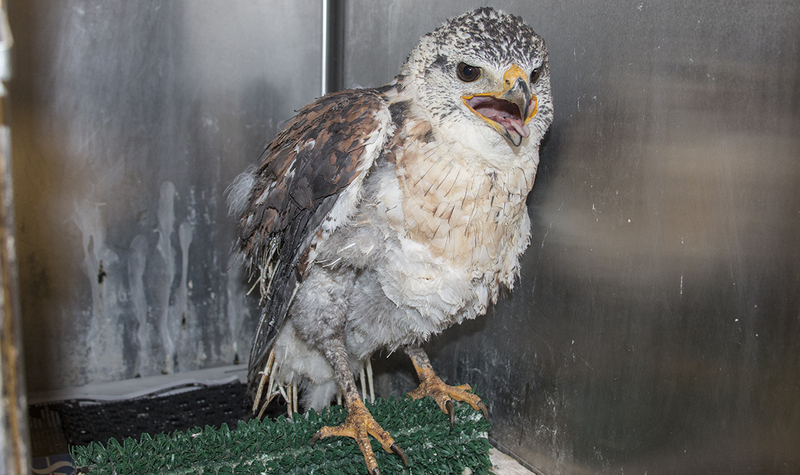 Another joint effort we are a part of deals with finding solutions to the issues surrounding lead poison in birds of prey. There are many other local issues that we are involved with that would lead to solving a number of consistent wildlife threats. More on that will follow. All of these efforts are furthered by the determined, diligent, and compassionate engagement by the Liberty Wildlife Volunteer contention. 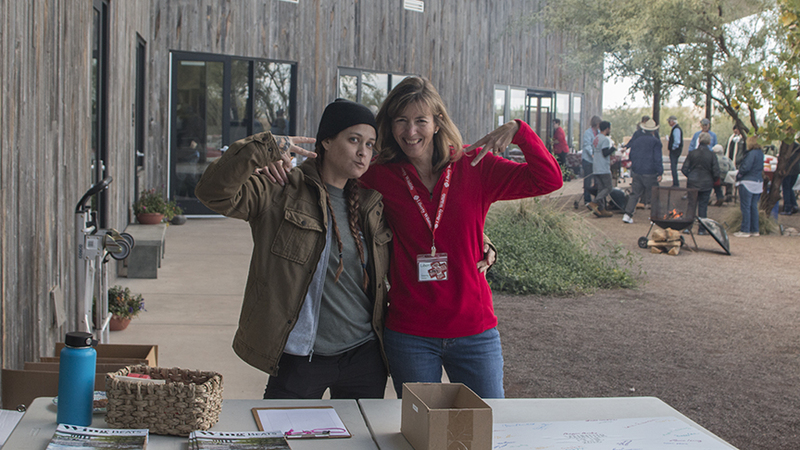 If you know a Liberty Wildlife volunteer, thank them. 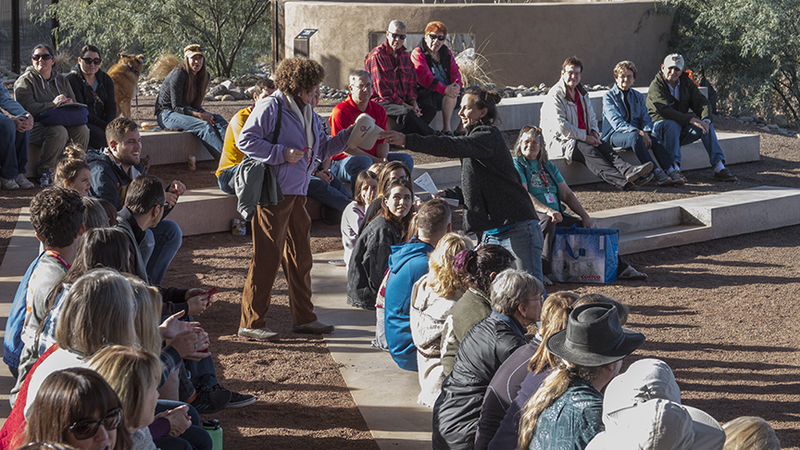 If you don’t know a volunteer now would be a great time to meet one…or two. They are all around the state doing rescues, releases, educational programs or working to solve any problems you have with native wildlife. This state would be lesser without them. 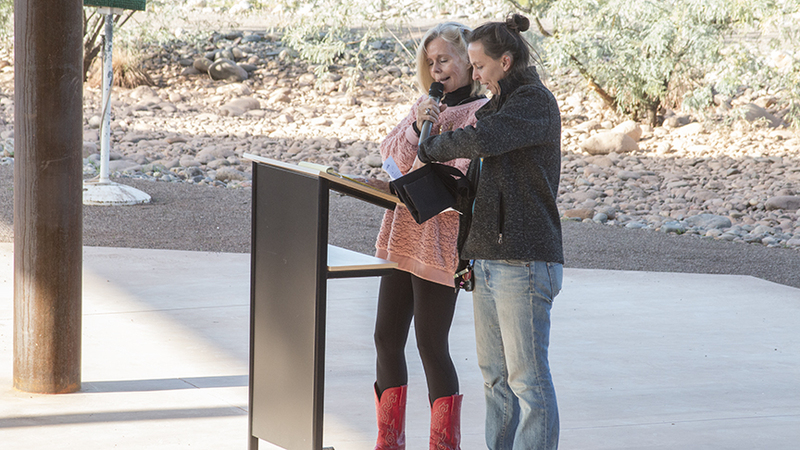 My personal thank you goes out to each and every one of you…those I see regularly and those who work quietly behind the scenes to make Arizona and this world a much better place. The intake total for the year is now up to 9274. Every intake sets a new record now, and we remain proud that we take in animals others refuse. 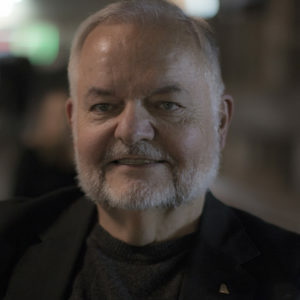 The animals can’t help who contributed to their DNA, or in which nest they happen to be born, so why should we decide who is worthy of help and who isn’t? We had some interesting intakes from far away arrive – a ferruginous hawk, a golden eagle, and some other interesting species which I tried to highlight here. 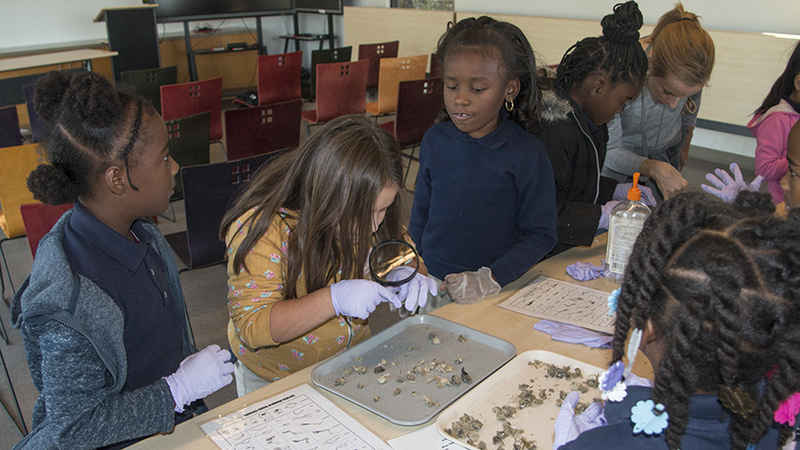 A few field trips for local schools also took place and are always a fun time to see the kids learning about nature and wildlife. 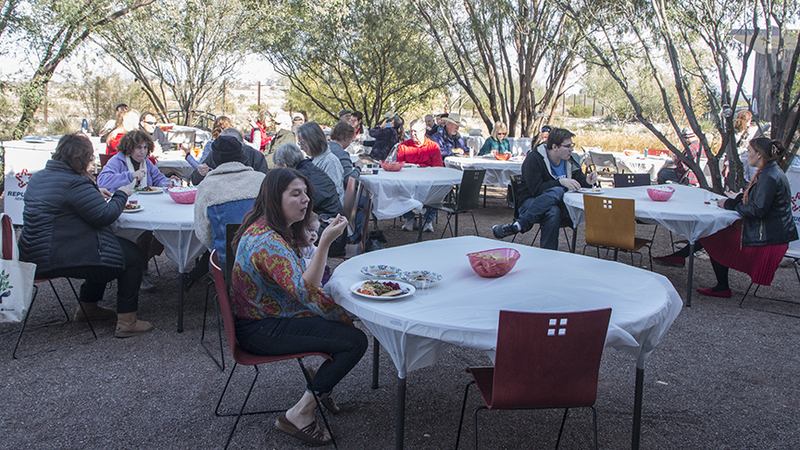 Plus, our big event was our annual Volunteer Appreciation Picnic yesterday. 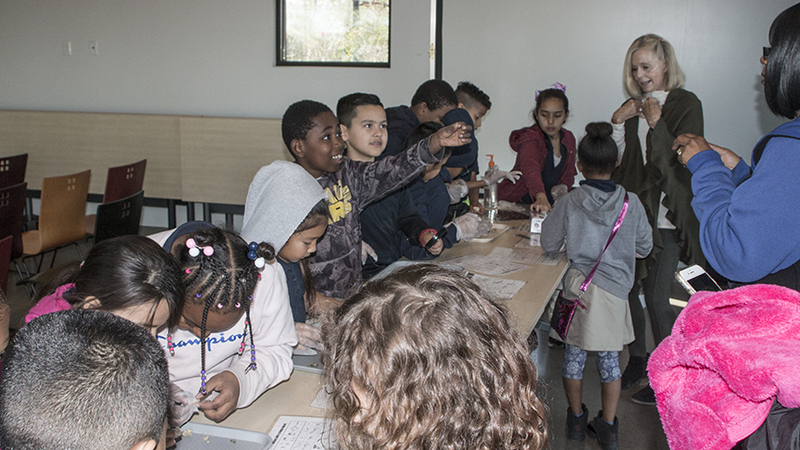 Boy, do we appreciate our volunteers! We can’t say or do enough to let them know how much we rely on their selfless efforts to keep this operation running. If we don’t say it enough, thank you, folks, for being here week after week! 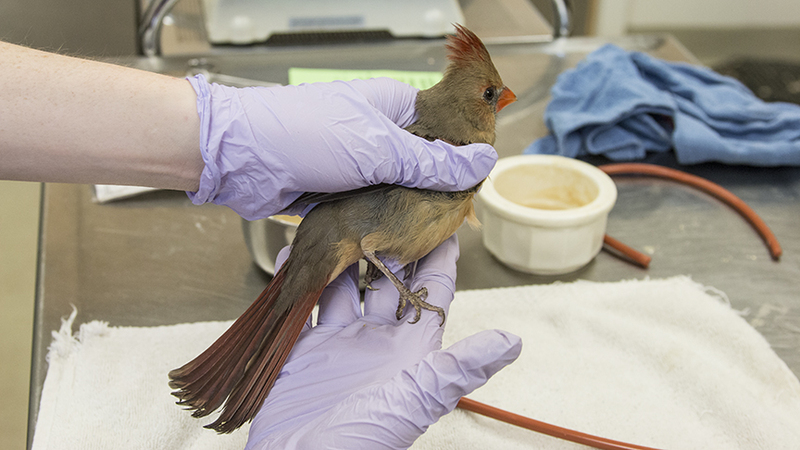 The variety of species brought to us for treatment is always impressive. Sometimes it provides an opportunity to examine a bird up close to see things that might elude the eye in the field. 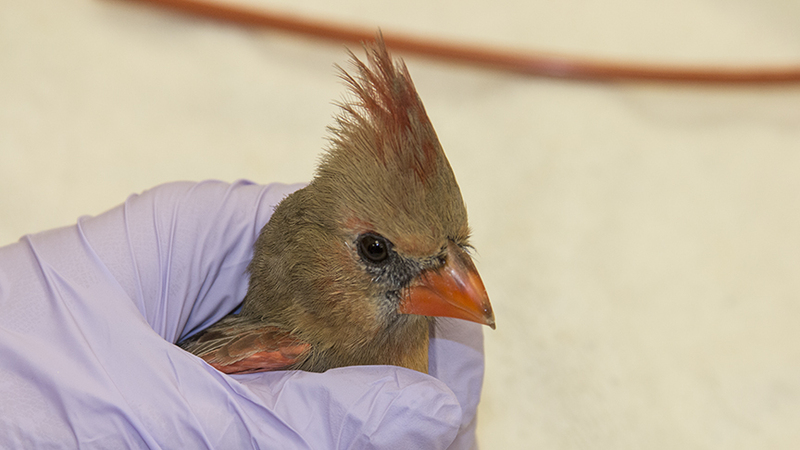 The female cardinal is not as brilliantly crimson as the male of the species, but she is gorgeous in her own right. 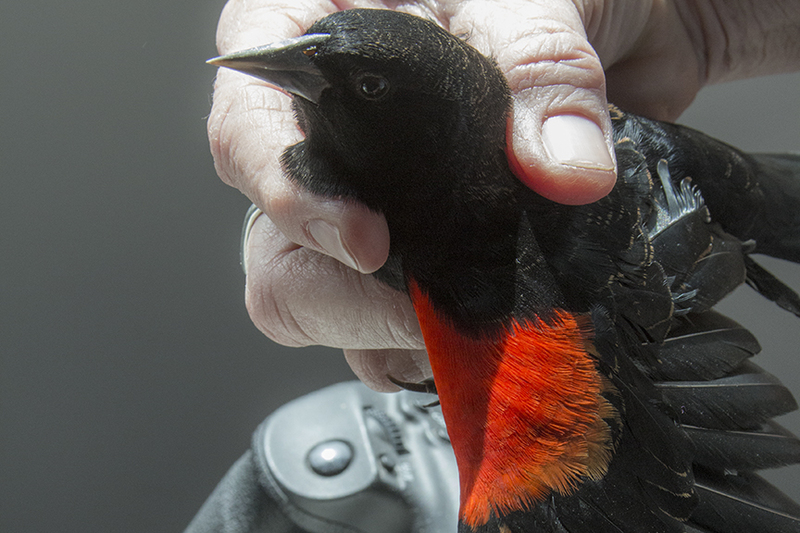 The red wing blackbird (presenting an injured wing) is more common in more Northern and Eastern settings, but we do have some locally. Their red wing feathers are breathtaking when seen up close in a good light. 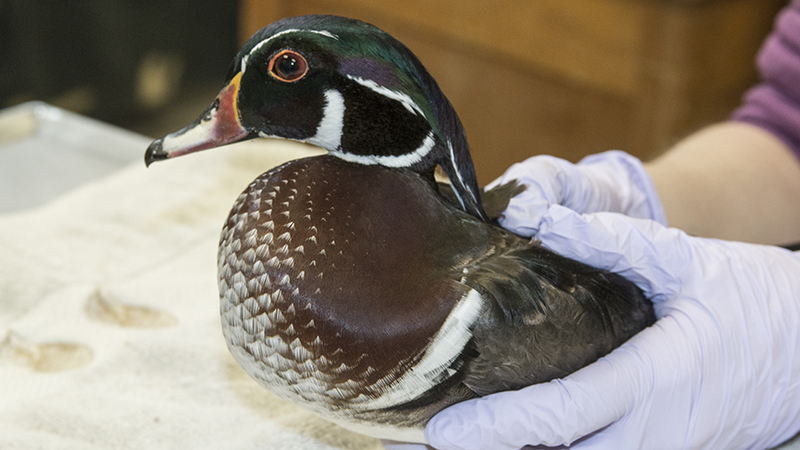 The wood duck is another example of a bird that is usually seen in other parts of the country, but are becoming more frequent visitors. This guy came in from the Gilbert area and has been spotted by numerous birders in recent weeks and has now been released! 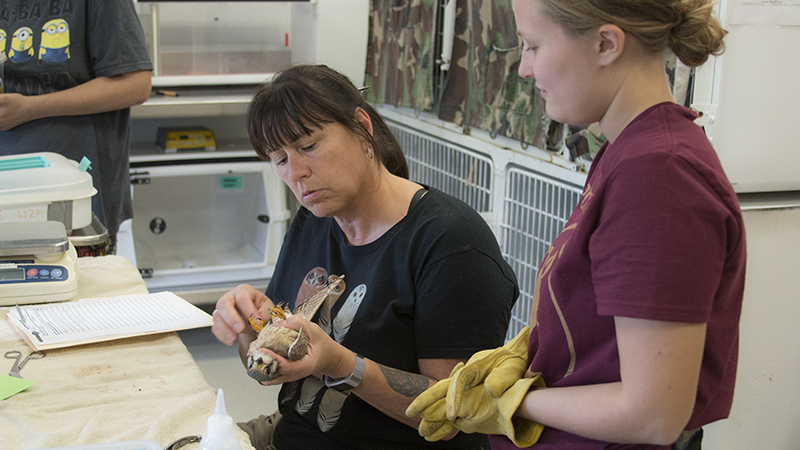 Tuesday night is “Vet Night” when the animals in our care are attended by Jan Miller (Senior Animal Care Co-Ordinator) and a team of volunteers veterinarians. 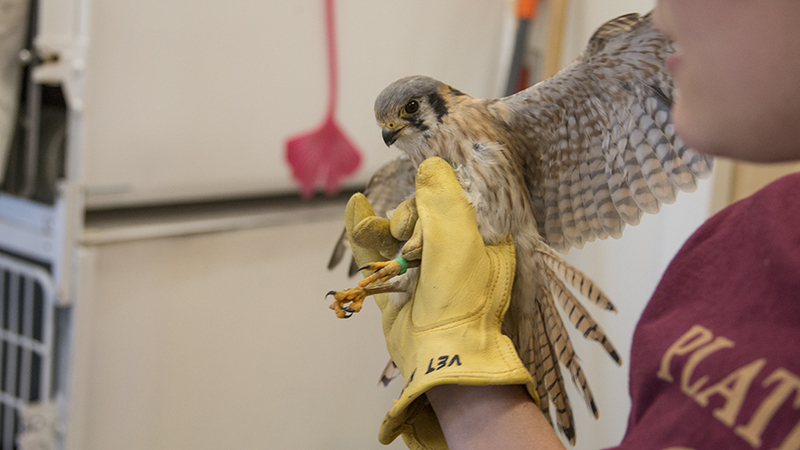 From the smallest kestrel seen here, to eagles and condors, each patient is examined and evaluated for further treatment or release. Volunteers on the Medical Services team assist in this weekly procedure including several who are aspiring veterinarians themselves. Dr. Wyman is a regular participant, adding her experience in evaluating pervious treatments and recommending further steps if required. 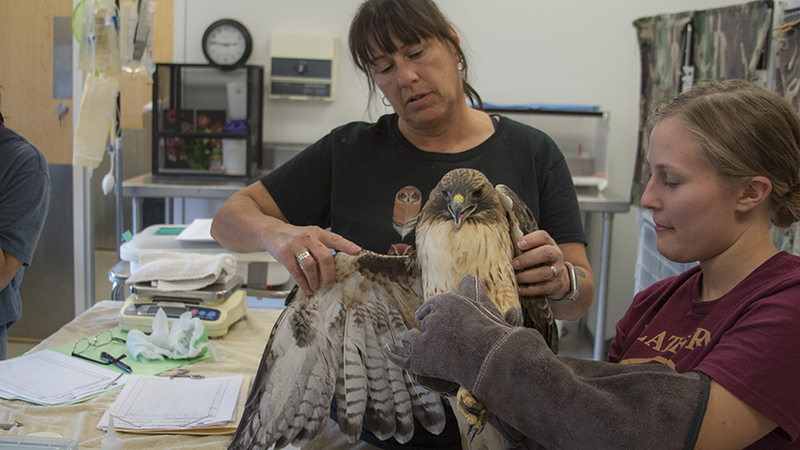 The vets and techs work as a team as shown here with Jan and Sarah checking on a red tail hawk that has an external pin (“fixator”) that was previously surgically installed by Dr. Lamb. One of our fairly new additions to the team, Amber, has been a big help to the attending vets. 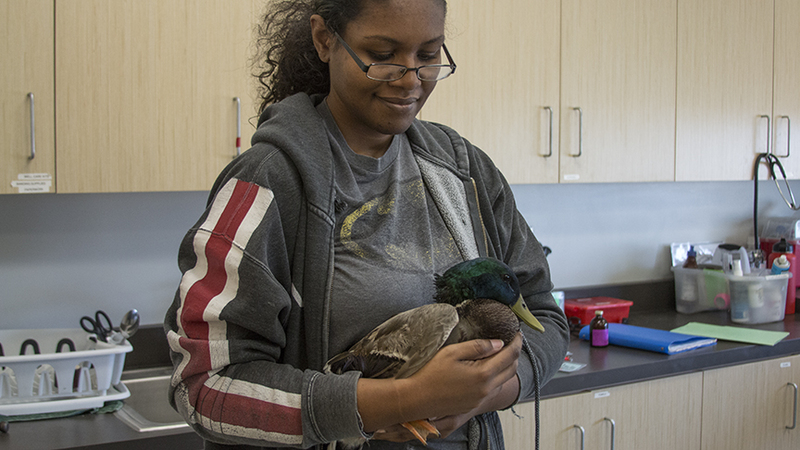 These volunteers get to handle all sorts of species from this mallard duck, to owls, hawks and eagles. 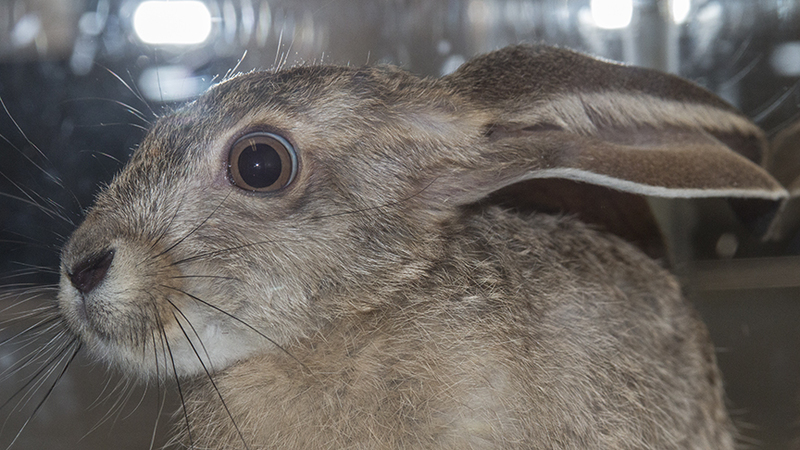 Our orphan jackrabbit makes it though! 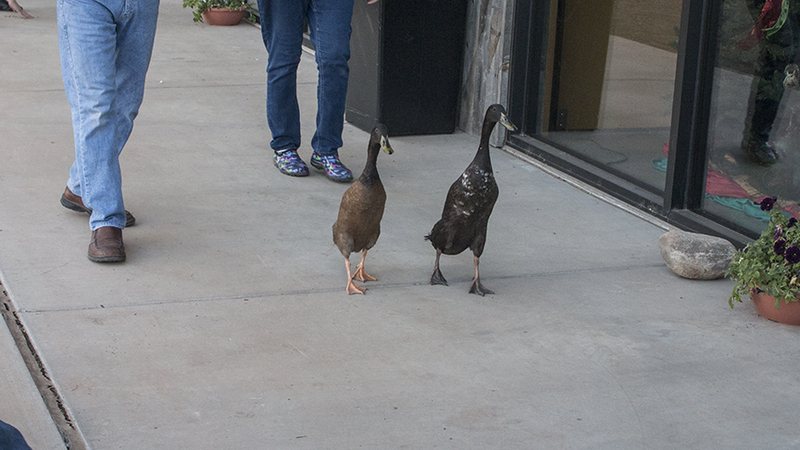 Lest anyone think we just help birds, our new facility is slowly being set up to handle more mammals. This little squirrel was someone’s pet but turned up at our window. 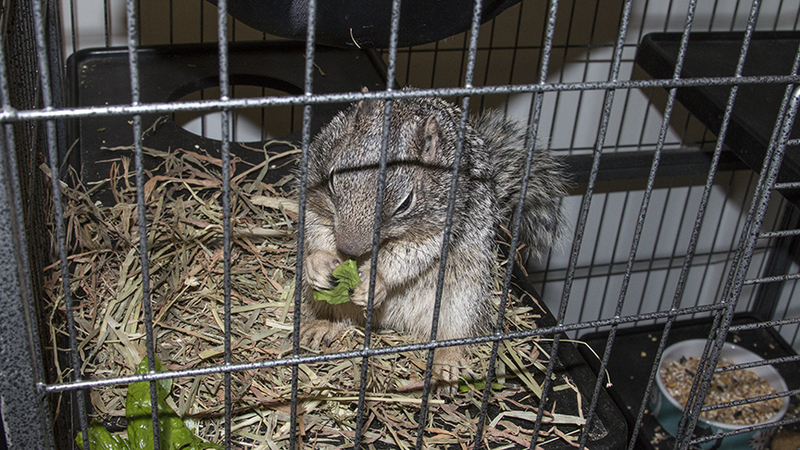 Otherwise uninjured, as soon as he gets a bit more wild, he will be released to the wide world of nature in Arizona to do what he was designed to do. And the tiny baby jackrabbit that came in last spring has successfully made it to adulthood and has now been released! You go, Jack!! 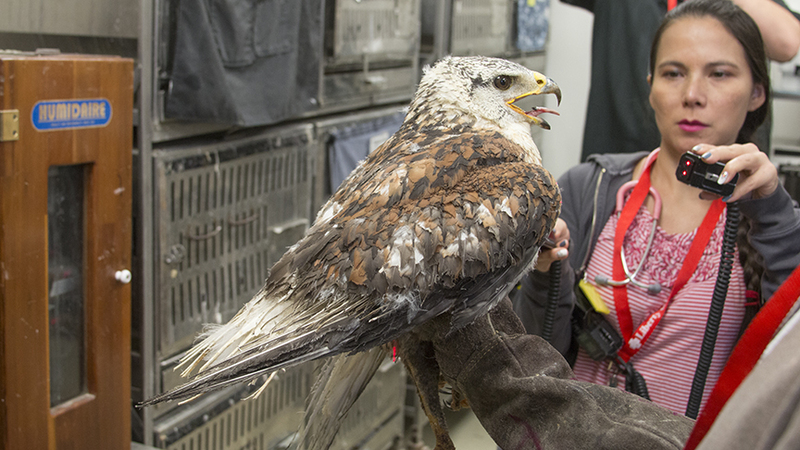 This ferruginous hawk was found by a wonderful person near Show Low. 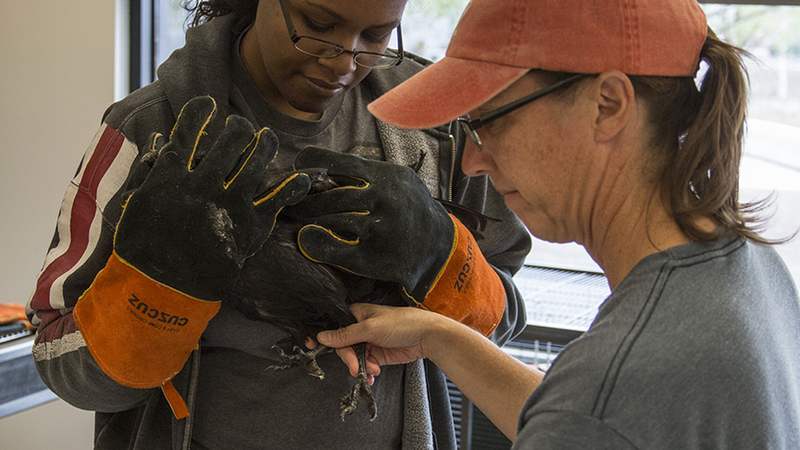 She was able to capture the bird in a sweater, bring it to a vet, then bring it all the way down to the Liberty intake window. 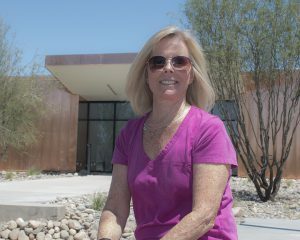 Regina was working the window and accepted the bird – and a $500 donation! It appears the bird was involved in an electrical fire of some sort as most of its feathers are burned and scorched. For now, it looks as though there is minimal structural damage so our hope is that given enough time – possibly close to a year – the bird will molt and grow new feathers and be releasable. 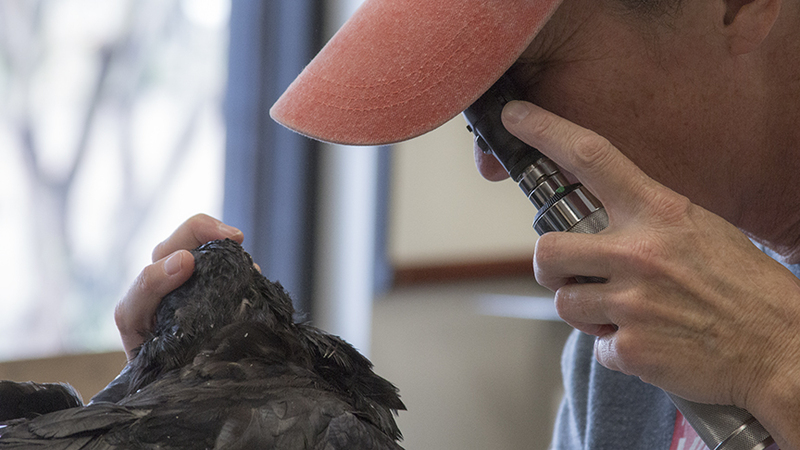 Dr. Tan has been using the cold laser on the bird as an anti-inflammatory treatment. This is a new type of treatment and we’ll keep you posted on that as well. We’ll provide updates as we are able. 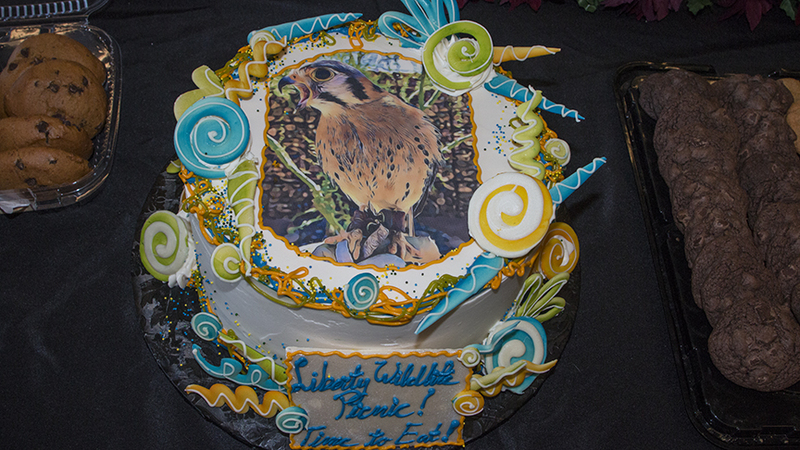 The “Kestrel Cake” says it all! 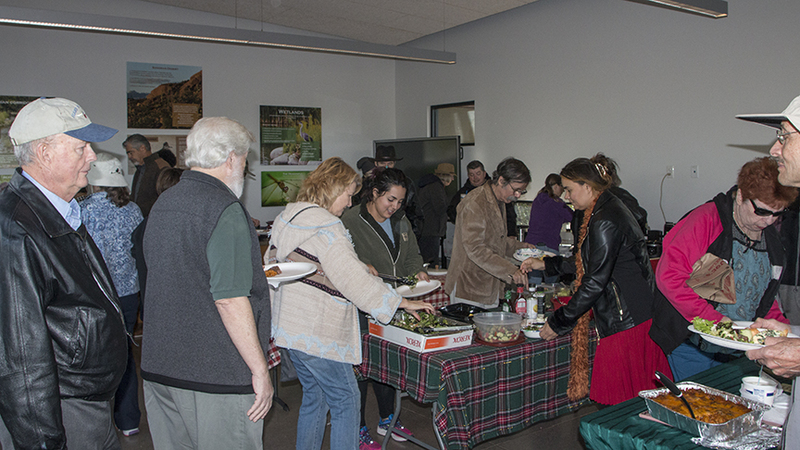 Our annual Volunteer Appreciation Picnic was held yesterday, Dec.2 at the facility. Games, prizes, raffles, lots a great food, and wonderful fellowship among the volunteers were the hallmarks of the event. The weather was mostly cooperative if maybe a bit on the cool side, but everyone seemed to enjoy themselves as we tied to say “Thank You!” to the volunteers as best we could. 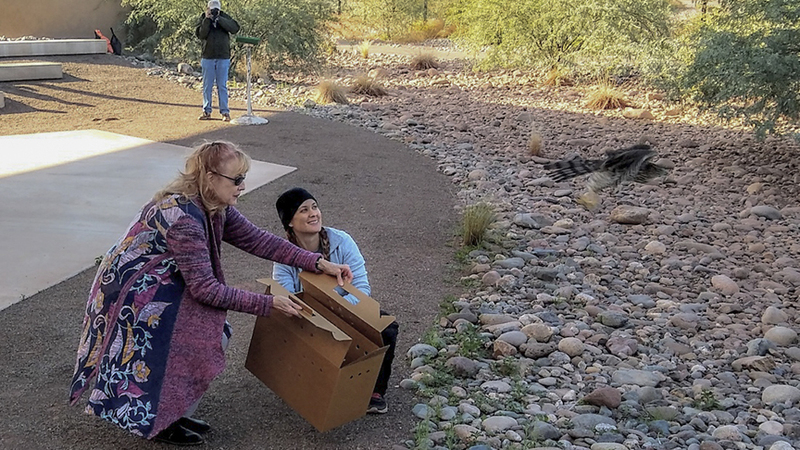 After the raffles were announced, all the tickets were again placed in a bowl and one was drawn for the honor of releasing a rehabilitated Cooper’s hawk. (You can see why of all the releases we do, accipiter releases are over in nano-seconds! click HERE for a brief video of the release. 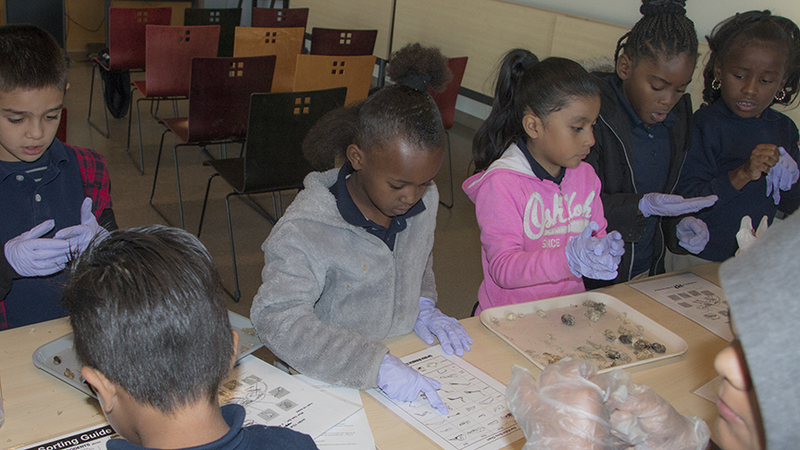 AGAIN, THANKS TO EACH AND EVERY VOLUNTEER FOR ALL YOU DO!